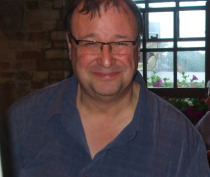 And today Urban Mythic author Ian Whates answers a few questions…. I find it difficult to pinpoint my first exposure to science fiction and fantasy. I recall watching early episodes of Lost in Space and Doctor Who (back in the William Hartnell days), and I was always borrowing volumes of Greek and Norse mythology from the library. The writing of Andre Norton was key, I know, as was a serialised reading of John Wyndham’s The Chrysalids on BBC radio, but which of these came first..? Suffice to say I grew up fascinated and inspired by all of these things and started writing my own stories from a young age. That has stayed with me throughout my life. I love to write in the same genres I read: science fiction, fantasy, a dash of horror … and if I can blend ingredients from all of those strands, so much the better. What was it that inspired “Default Reactions”? Good question. My partner, Helen, has a far higher tolerance for shopping than I do. One day a few years back (2006?) I sought sanctuary in a pub (now there’s a surprise) close to Covent Garden while she continued to satisfy her retail itch. As I waited, I jotted down the outline of a story that drew on our experiences and the people we’d encountered that day. Centring on the concept that there are many versions of London existing in close proximity which most of us are completely oblivious to, the story features a succubus and a character called ‘Chris’ who can sense and interact with the different Londons. I’ve grown fond of Chris, who, in the interim, has featured in a few further tales involving alternative Londons. 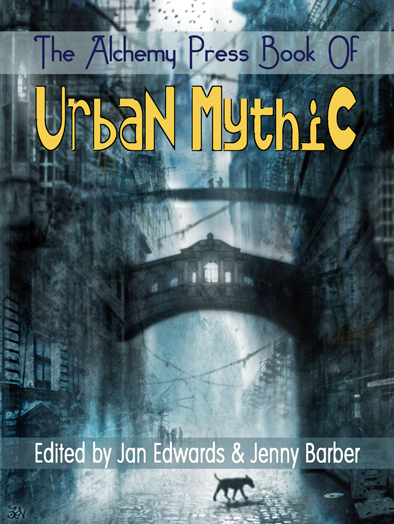 The announcement of the Urban Mythic anthology coincided with a developing interest in the trans-cultural enigma that is the Green Man, and it occurred to me that this would be the perfect opportunity to write another Chris story. The narrative came together from there. To be honest, it doesn’t have to be urban at all – I enjoy well-written ‘epic’ fantasy as well – but I’m never averse to a good bit of urbanisation! The whole post-Buffy vampire side of things has completely passed me by, though. To me, ‘urban fantasy’ still means the likes of China Miéville’s Perdido Street Station and Alan Campbell’s Scar Night (both excellent, incidentally). This is why I created my own ‘fantastical-city-with-a-personality’ in Thaiburley, the setting for my City of 100 Rows trilogy of novels. Thaiburley is very much its own creature and I didn’t set out to emulate anywhere else when creating it, but the city almost certainly owes a debt to Fritz Leiber’s classic Lankhmar – I still cherish every one of those tales. My single favourite (and sadly often-overlooked) urban fantasy is probably Megan Lindholm’s (aka Robin Hobb) Wizard of the Pigeons, set in contemporary Seattle, while if you’re looking for something a little more classical, I can’t fail to recommend Hope Mirrlees’ wonderful Lud-in-the-Mist. As both a writer of short and long fiction, and editor of many publications, do you find yourself drawn to one of those things more than the others, and are there any fiction forms you want to try your hand at but haven’t yet? I’m very much a writer first and foremost. The editing and publishing are things I stumbled into without really planning to. Having said that, I take a great deal of satisfaction from all aspects of what I do – otherwise I wouldn’t still be doing them. I cut my teeth writing shorts, but, equally, I enjoy writing novels as well. Hopefully, I’ll never lose the appetite for both forms. Yes, there are still plenty of areas of genre fiction I’d like to explore and write in. I’ve written space opera, military SF, urban fantasy, heroic fantasy, grimdark, slipstream, comic SF… I’ve written a ghost story and a vampire story, a time-travel story, a cyberpunk tale, a psychological horror and many others. But I’ve never written an alternative history piece, not really, I’ve only dabbled with steampunk, and I’d love to write a full-blown crime/thriller at some point. So, many sub-genres visited to date but just as many still to explore. What will you be up to next (published works/ conventions/ random fun stuff!)? Convention-wise, I’ll be at Andromeda One in Birmingham this September, Bristolcon in October, and World Fantasycon in Brighton over the Halloween weekend. At both the latter two events I’m holding launch parties for new titles, among other things. On the publishing and editing front, there are several NewCon Press titles on the way during the remainder of this year, including an Adrian Tcahikovsky collection, Feast and Famine, a Steve Rasnic Tem collection, Twember, one from Stan Nicholls, Shake Me to Wake Me, and a further collection from Tanith Lee: Colder Greyer Stones. In addition, I’ve just finished editing an anthology produced in honour of David Gemmell: Legends, featuring the likes of Joe Abercrombie, James Barclay, Tanith Lee, Storm Constantine, and all sorts of others – this is intended in part as a fund-raiser for the Gemmell Awards – and another anthology, Looking Landwards, of original SF stories examining the future of farming, agricultural engineering and food production; this latter volume produced to mark the 75th anniversary of the Institution of Agricultural Engineers. I’m also progressing ten different titles for next year (editing, commissioning and agreeing cover art, etc, etc), including novels, collections, and anthologies, as well as working on a third volume of Solaris Rising for Solaris. Writing-wise, my latest novel, Pelquin’s Comet, is currently being considered by publishers. This is intended to be the first in a new space opera trilogy, so, all being well, I’ll have two further volumes to write. A 22,500-word novella featuring ‘Chris’ has recently been serialised over four issues of Aethernet magazine, and I’m considering expanding this into a novel. I have stories forthcoming in PS Publishing’s PostScripts and a couple of other anthologies, notably Solaris’ End of the Road, and I’ve just been commissioned to write a ghost story for a brand new publisher. Oh, and I’m one of the judges for next year’s Arthur C Clarke Award, which requires me to read around 80 novels over the next seven or eight months. So, I should be able to keep myself occupied for the foreseeable without too much trouble. I genuinely enjoy everything that I do, which is just as well, since I tend to do quite a lot of it.